If you're an audio enthusiast, choosing the right equipment for your stereo is no easy process. That being said, even casual music lovers often like their sound systems to have particular qualities. When using a turntable it is important to use a phono preamp to boost the signal, which, for most turntables, is fairly low. When buying a phono preamp, there are a few key qualities that you should look for and consider before you make your purchase. Go to a trusted audio retailer. While most people might choose to shop at a Best Buy or a Target for a phono preamp, it is recommended that you go to a smaller, local music shop if one is nearby. Because of the digital transition the music world has gone through, the selection and the available knowledge at a major retailer will not compare to the selection and available knowledge at a more specialized, local shop. Ask an employee what the signal-to-noise ratios of the preamps you are considering are. One of the biggest problems with phono preamps is that they can generate background noise. A signal-to-noise ratio tells you how much background noise a preamp will create. To make sure you are getting what you need, ask what the ratio is. The general rule is that the higher the number, the lower the background noise level will be. If you're already playing through a cheaper stereo, it might be beneficial to buy a preamp with a high signal-to-noise ratio to make sure you are creating the best sound within your means. Ask the employee if the preamp has RIAA re-equalization. 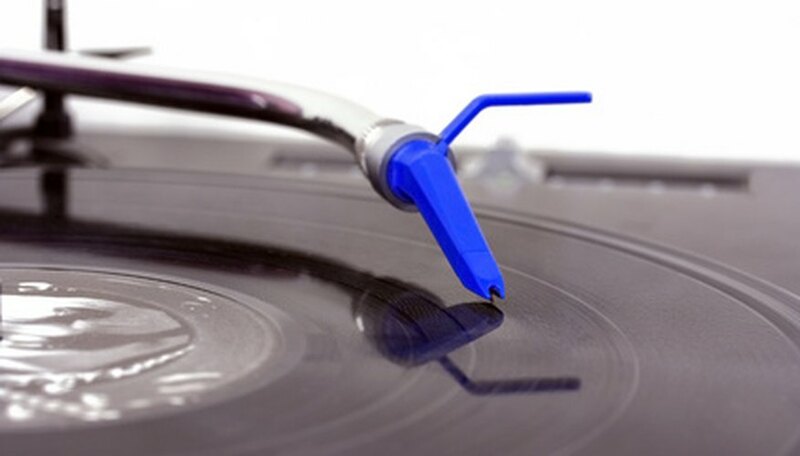 RIAA re-equalization removes a equalization curve that recording studios put onto vinyl records during the recording process. When you re-equalize this curve, it returns the music back to its original state and sound quality. A phono preamp without RIAA re-equalization technology will sound fine, but it won't be the best. To make sure you are getting your money's worth, ask the employee to double check that the preamp you are looking at has RIAA re-equalization. Ask about the ground wire. The ground wire is another device that comes on most preamps that will reduce the hum or excess noise that may be created by the preamp. The hum or hiss that is created by many electronic devices is due to the signal in the device not being grounded. A ground wire cancels out the signal by sending that signal through a wire and into another object that can ground the excess signal. Have an employee double check to make sure the preamp you are choosing has a ground wire. Compare prices and features. After you have had an employee inform you about the signal-to-noise ratio, RIAA re-equalization, and the ground wire of the available phono preamps the store has in stock, take some time to figure out which one is best for you. Consider how much you'd like to spend and how good of a phono preamp you need. Taking all of the features and your budget into consideration will allow you to buy the perfect phono preamp for you. Noah Kain began writing in 2008 for Baltimore Metromix, reviewing restaurants, music and national politics. In 2010 he had three poems published in "Stevenson University's Spectrum Literary Magazine" and has also recorded albums and toured with his band, Mother Nature's Son. Kain graduated from Stevenson University with a Bachelor of Science in interdisciplinary studies and a focus in English and film. What Does a Preamplifier Do? What Is the Passive/Active Input Jack on a Bass Amp?